O’Brien Landscaping (a trading name of O’Brien Facilities Ltd.) is a friendly family business with a thoroughly professional approach to landscaping. From design to execution our team will look after all the details to make sure you have a finished and ready to use garden space. Our on-site team are fully insured and well trained. Groundworks: Excavation, drainage, topsoil, materials removal. Planting: Shrubs, Trees, Lawns (Seeded or Roll Out Turf), Perennials. Features: Paving, Decking, Lighting, Sleepers, Pergolas, Arches, Gates & Railings, Water Features. Maintenance: Grass & hedge cutting, Pruning/Limbing of trees, moss reduction, drain and gutter clearing. Emergency Services: Storm debris & fallen tree removal, frost damage repairs. Let us transform your space, big or small, into a stylish garden that is tailored to your space, requirements, budget and lifestyle. Our designer will survey your space, discuss options and finally create scaled easy to understand plans. Just give us a call or email us and we will set up an appointment that suits you. O’Brien Landscaping (a trading name of O’Brien Facilities Ltd.) is a friendly family business with a thoroughly professional approach to landscaping. Our expert team have been providing landscaping & garden maintenance services for 25 years. In this time we have earned a reputation as a friendly and efficient supplier of great garden designs. 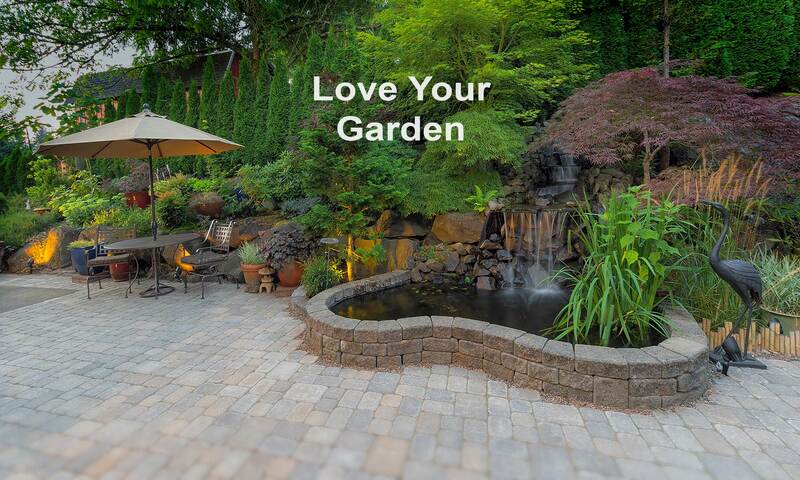 We know how important your garden is to you so we make that extra effort to create unique garden features.